Twenty-two new cases of measles have been confirmed since the Centers for Disease Control and Prevention‘s previous report, according to the agency’s latest numbers. So far, the CDC has confirmed 101 cases of measles from 10 states during 2019, although its data may not include recent state-based news reports. The CDC tally runs from Jan. 1 to Thursday. 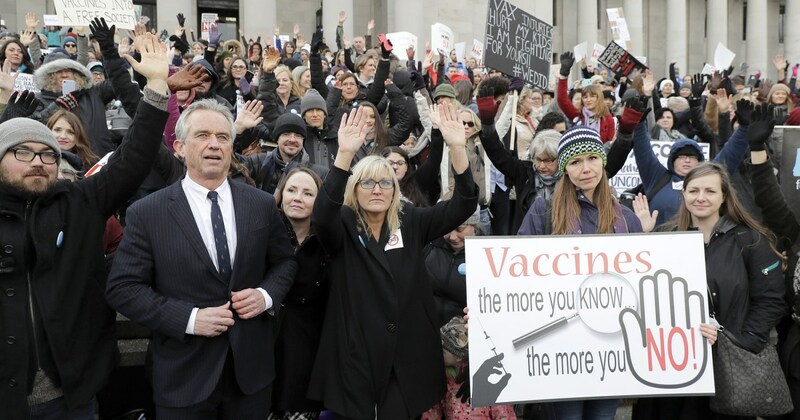 In the vast majority of these states, the disease has been traveling among people who either have not had the vaccine at all or haven’t had the second dose. The measles vaccine is 97 percent effective when both doses are given. Measles activity has been monitored closely in southwestern Washington, where a public health emergency was declared in January. As of Thursday, 55 cases of measles had been confirmed in Washington state. Almost all of the cases occurred in children younger than 10 whose parents had chosen not to vaccinate them. A similar outbreak occurred among Orthodox Jews in New York state in January. Measles is a highly contagious viral disease, without specific antiviral treatment available. Symptoms generally begin a week to 14 days after infection. They include a high fever, cough, red eyes and the signature bluish-white rash on the inner lining of the cheek called Koplik spots. It’s followed by a rash that spreads over the body. If left untreated, encephalitis, a potentially fatal inflammation of the brain, can develop. Measles is often brought into the United States by unvaccinated people who become infected in other countries, the CDC says. Vaccination rates have recently increased amid concerns over the outbreak. The Washington State Health Department says about 530 people were immunized against measles in January 2018. This January, there were more than 3,000 immunizations.